"Thank you for sharing Aman. What a lovely collection of inspiring messages to share with the world. Very unique. I was just thinking who even shares messages like these nowadays. Well done. Keep them coming." This is helpful to both our confidence and ambition, and we look forward to iterating exponentially and making every fortnightly issue a truly valuable one for you. So, how much more empowered would you feel when almost anything you do or experience, is (or can be) disintermediated? Education, insurance, banking, health, retail, etc... Where you don’t have to depend on middle-men whether individuals or organisations, to deliver something, often inefficient and expensive. In this issue of Exponential Times, we have Dr Diamandis talking about the future of insurance and the four key transformations happening in the world of disintermediation. Talking of which, how about an AI sales prospecting tool? 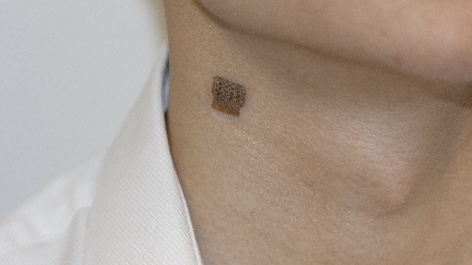 Or a skin patch that takes blood pressure readings without the need to even manually do it or go to a clinic? Or becoming a movie director by choosing your own desired ending for a movie script? Regardless of whether AI and disintermediation excite you or not, we are moving into a trillion-sensor economy where intelligent real-time processing of data will allow us to make choices that don’t rely on middle-agents. Liberating or scary? Let us know and “see" you again in 2 weeks! P.S. You can contribute by sending us tips, and by encouraging your colleagues to subscribe. We profit from it, we fear it, and we find it impossibly hard to quantify… risk. 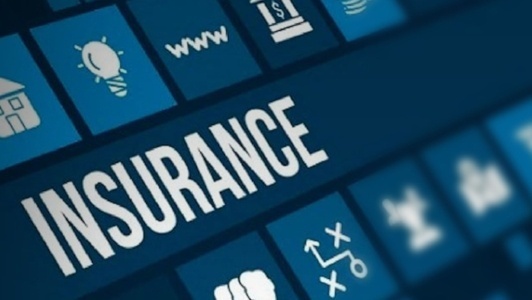 While not the sexiest of industries, insurance can be a life-saving protector, pooling everyone’s premiums to safeguard against some of our greatest, most unexpected losses. One of the most profitable in the world, the insurance industry exceeded $1.2 trillion in annual revenue since 2011 in the U.S. alone. But, risk is becoming predictable, and insurance is getting disrupted fast. By 2025, we’ll be living in a trillion-sensor economy, according to Stanford research. As we enter a world where everything is measured all the time, we’ll start to transition from protecting against damages to preventing them. 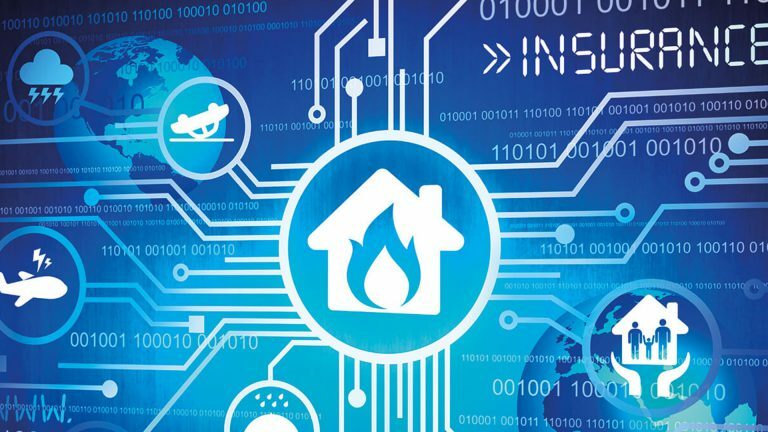 In this blog, Peter will cover four key transformations: Sensors and AI replacing your traditional broker, blockchain, the ecosystem approach, and IoT & insurance connectivity. Every week, Peter video-captures for his community the most exciting new developments he comes across in his many interactions with different stakeholders from across the world. This week’s video is all about being in control of your own movie ending - another ‘disintermediation’ example, where one doesn’t let the director of the script dictate what the consumer sees, but the consumer decides directly. Netflix is planning to air a "choose your own adventure" episode of Black Mirror. Yet another example of innovation in the entertainment industry! Do you think this experiment will prove successful? Would you rather sit back and enjoy a pre-produced experience, or do you want to have a say in how your content ends? What it is: A team of researchers led by Sheng Xu at UC San Diego is working on a patch that can continuously measure someone’s central blood pressure, touting dimensions no greater than a postage stamp. The stick-on silicon elastomer patch emits ultrasonic waves that penetrate the skin and reflect off tissue and blood underneath. Once sent back to the sensor, these reflections are then communicated to a laptop, which processes all blood pressure data instantaneously. Although most effective when placed on the neck, the wearable device has been found capable of continuously and accurately monitoring central blood pressure from multiple contact points, sensing deep beneath the surface of a patient’s skin. Why it’s important: While the patch’s current iteration must be wired to a laptop and power source, it's the first known wearable device that begins to approximate the current gold standard for measuring central blood pressure -- a much more invasive technique requiring a catheter inserted near the heart. Long term, as such devices advance in accuracy and go wireless, monitoring heart conditions as well as other vital organs will become an automatic, everyday convenience, allowing doctors to keep an eye on patients with conditions like hypertension, without posing an infection risk. And as suggested by Sheng Xu, such ultrasound patches could yield results even outside the body, helping to find small cracks in complex mechanical parts, for instance. 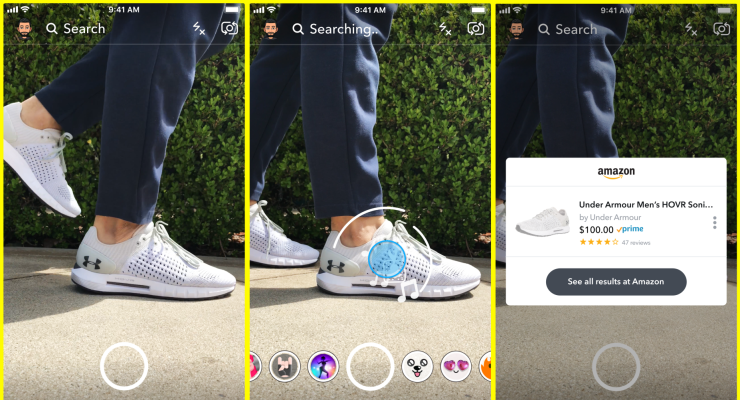 What it is: Confirming rumors from earlier this year, Snapchat officially released its visual search feature, developed in partnership with Amazon. By pointing your Snapchat camera at a barcode or object and pressing on the camera screen, users are taken to an Amazon link showing them the object or similar ones that can be purchased via Amazon. The idea here is to make it easier to find and buy objects that you either don’t know the name of or find difficult to describe. At a tactical level, this is a boon for Snapchat as it looks to turn around recent losses and keep users engaged. Why it's important: Combined with Pinterest’s Lens Visual Search Tool and Apple’s embedded AR features in iOS12, this speaks to a broader trend of AI and AR sliding into daily life almost unnoticed. How will you use the growing number of AI, AR, and ML services to improve the services you provide? 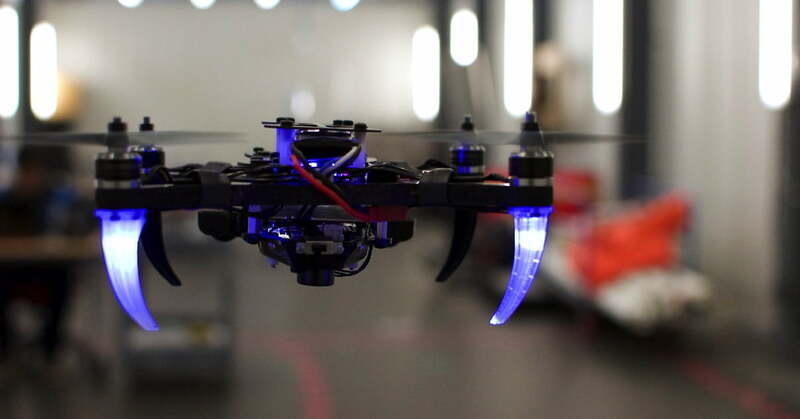 What it is: Research engineers from NYU, the University of Pennsylvania, and the U.S. Army Research Laboratory have created a way to guide a drone with only a pair of eye- and gaze-tracking glasses. Using a pair of Tobii Pro Glasses 2, the team used a neural network to detect head orientation and gaze to determine where the user is looking, giving the drone a waypoint in 3D space without the need for instrumentation in the overall environment. Why it's important: The most immediate application lies in radically simplifying the user interface, allowing people with very little experience to safely operate drones. As the researchers note, longer-term plans are to incorporate gesture and vocal interactions into the setup, enabling new ideas for anticipatory human-robot interfaces. Looking to disintermediate your sales function? Try out Monkey Learn... the hypothesis - what if we could show a machine learning algorithm a bunch of our current clients and it could create a model based on them to compare against any new potential lead? Would the machine be able to “pick a winner” in a way that your sales team never could? Instead of showing a video clip like we do in every issue, this week we share a recent podcast done by Peter, where in line with the future of insurance blog post above, he and Dan Sullivan discuss the disintermediation of the insurance industry, and specifically how AI will disrupt the middleman in all industries. When will tech companies who know the most about you enter the insurance industry? What happens to life insurance when you live 30 extra years? What becomes of auto insurance when autonomous cars don’t have accidents? At Abundance 360 Dubai, Peter's 360-person executive mastermind, we teach the metatrends, implications and unfair advantages enabled by breakthroughs like those featured above. We're looking for business and government leaders who want to change the world. The program is highly selective. If you'd like to be considered, apply here.